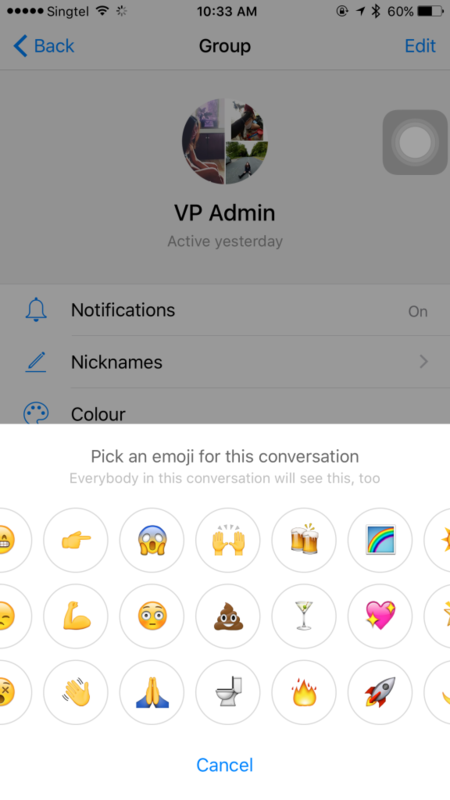 You Can Now Customize Your Default Facebook Chat's Like Button Into A Poop Emoji! Christmas came early this year for Facebook users. Last Thursday, the big kahuna of social media officially launched a long-awaited feature that could untangle the daunting process of sharing photos with your friends. Called Photo Magic, it recognises your Facebook friends in the pictures you take, and instantly sends them to your friends spotted in the snapshot. Now, all it takes is a single tap. Because Photo Magic has got you covered. Other than the Photo Magic feature, did you also notice something different? 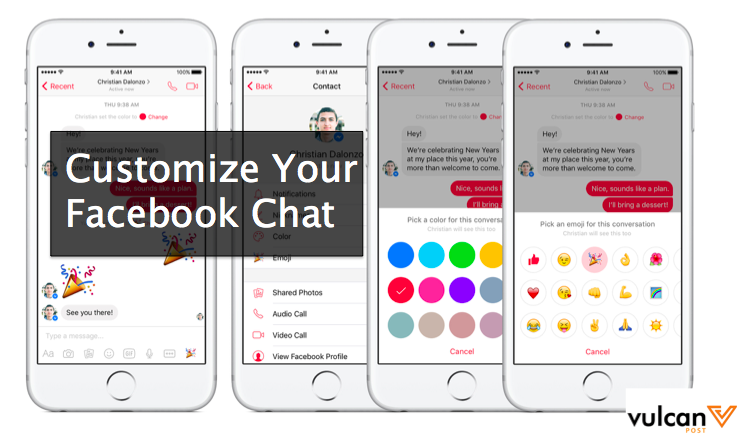 That’s right, you can now customise your conversations with different people and groups. 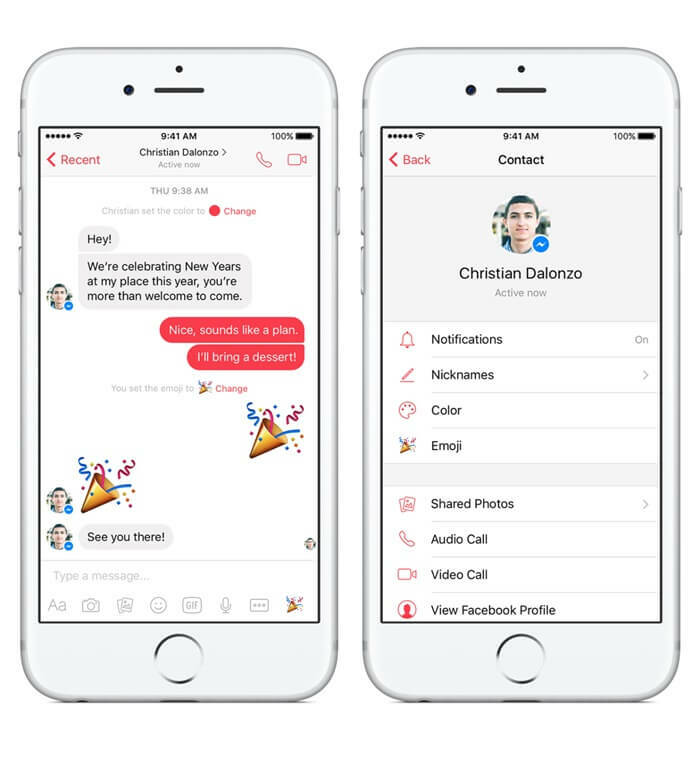 Messenger is now armed with various colour choices, emoji and nicknames. 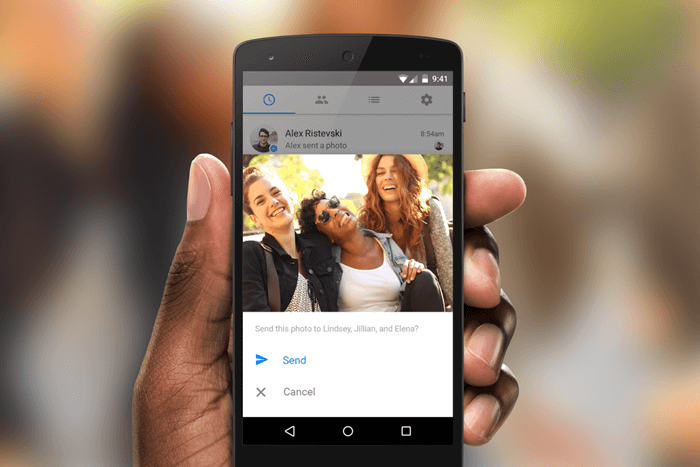 Facebook’s fan favourite snow globe effect for chat heads on Android is also coming back. Everybody in the conversation will see the changes you make. Likewise, they can change the colours, nicknames and emojis as many times as they want. Want to have a little extra fun? Give your messages a new glorious spin by changing the Like button to a Poop emoji. To do that, simply open your contacts on the Messenger app, click on the name of your friend or the group you want to customize, and you will be able to see the option to change the default “like” button. You’re gonna love it, go ahead and try it now, and let us know what you think! You can choose which emoji to replace the default Like button.